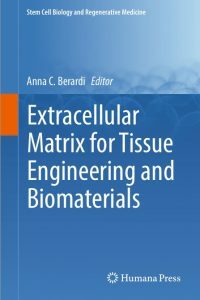 This volume provides a state-of-art-report on the new methodologies in tissue engineering and developments in the biomaterials field based on the extracellular matrix-relevant discovery. 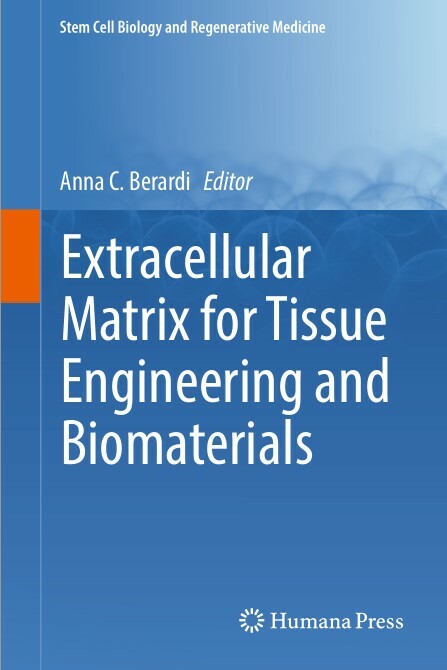 Extracellular Matrix for Tissue Engineering and Biomaterials opens with an overview of the latest extracellular matrix research and in Part I, focuses on its biology and its role on cell behavior and cell fate relevant for the design of biomimetic surfaces. Part II details issues regarding the strategies currently applied in the research of biologically inspired materials and material systems for the replacement, repair and regeneration of tissues and organs. Part III presents the latest development methods applying knowledge from biology towards nanotechnology, to promote the restoration of the functionality of a living tissue. The book ranges from fundamental biology associated with tissue regeneration for the development of biomimetic approaches to controlling tissue formation, cell function, differentiation and angiogenesis using factors involved in normal tissue development and function. With the breadth and depth of the coverage of this topic, this book will serve as a valuable reference for anyone working in tissue engineering or biomaterials – from scientists, chemists and biologists through physicists, bioengineers and clinicians.